Yes I know it’s in December but you know what, we can’t help but to look further down the road since the Redskins have failed to have a successful season. 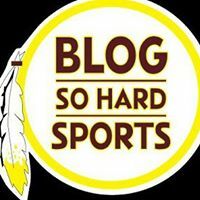 Right now, odds are against the Redskins receiving a top 5 pick as they are currently slotted with the 6th worst record overall but only 2 of the 5 teams ahead of them have easier strength of schedules, so things could easily change. In what seems like an annual tradition, its time to look ahead to the draft for this team. To build a dynasty, it starts with the draft. So after countless hours of looking through video of potential NFL prospects, I have come up with a list of players the Redskins should take a deep look at. I hope Scott Campbell, Director of Scouting for the Redskins agrees with me. They should go offensive line NO MATTER WHAT. Redskins shouldn’t look back either. Look how horrible this season has gone. You are as good as your offensive line. The Dallas Cowboys did a smart thing (can’t believe I’m giving them props) for drafting a guard in last year’s draft. As much as Jerry Jones wanted to draft Johnny Manziel, his son, Stephen Jones (President of the team) wanted to draft a guard. He won that battle and he proved his point. Cowboys almost have a 2,000 yard running back. The Redskins need a RT, RG, LG. He’s the MOST pro ready player coming out of college. Potential (quite possibly) NFL head coaching candidate Kirk Farentz is his head coach. Brandon is nasty. He can be solid for 10 plus years for this team and can seal that right side. He loves pancakes and I’m not referring to food. He is quick and light on his feet at 6`5 324lbs and can get to the 2nd level along with finishing up his blocks. He plays nasty and that’s exactly who the Redskins need. No matter who is available, the Redskins need to fill holes and not stick to the “best player available” mantra. We don’t have enough players to carry out that theory. 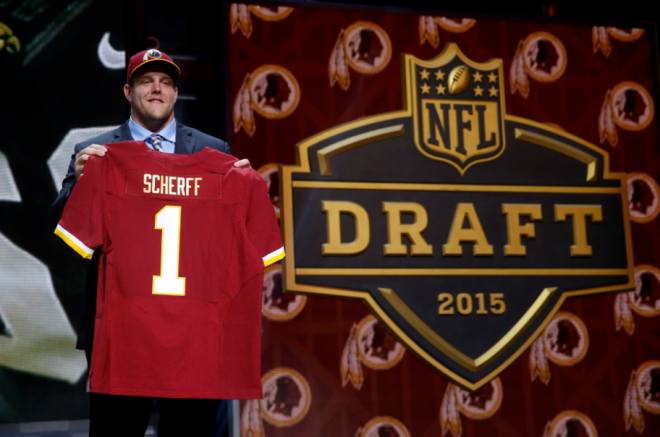 Redskins should draft a Free Safety or Strong Safety because they need BOTH. Cody is known to be a hard hitter who can play both FS and SS. He’s just a beast and plays great and consistent on a weekly basis. He’s a big talent and would instantly upgrade the Redskins secondary. He’s part of one of the best defenses in college which they call themselves the “No Fly Zone” defense. Kurtis does it all and he has a nose for the football. He’s envisioned to go in the 2nd or 3rd round. Hopefully the Redskins can take a hard look at him because he would be very helpful for the Redskins on the defensive side. I say either offensive guard but I see someone who would fill another hole, Strong Safety. Yes, Samford. This is a diamond in the rough pick. This guy is nasty. The film talks for itself. He’s got good mechanics and a great nose for hitting for someone who goes to a division II school. He gives nothing but legal hits. He needs to be coached and potential issues with him could be the game day speed but that shouldn’t’ stop a team from drafting him. Once he’s acclimated, I’m sure he will be a fine specimen at strong safety.